Crisp apples, cinnamon sticks, bonfires and the beguiling aroma of pumpkin spice—fall is here, and The Fresh Market is the perfect place to get inspired. Start your mornings with a mug of our signature Pumpkin Spice Coffee and sweet, crunchy pumpkin biscotti. (Because, let’s be honest, you can never have too much pumpkin!) Then bring the fragrant, multi-hued magic of the season to your kitchen with rich dishes and décor like stuffed baked apples and whimsical heirloom pumpkins. 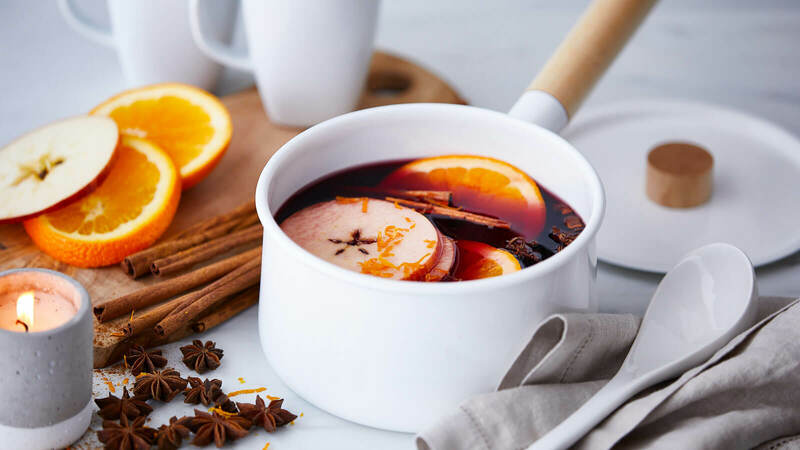 Finally, cap off cool evenings with mulled cider or wine and a slice of apple pie. When it comes to getting the most out of autumn, there’s a lot to discover at The Fresh Market! Ready to try them for yourself? Visit The Fresh Market and do your own apple-picking! Whether you’re baking a pie or grabbing a quick bite, apples are a nutritious and versatile kitchen mainstay — especially when they reach their peak in autumn months! We’re bringing in some of your favorite apple varieties from sea to shining sea, with Fuji, Honeycrisp, SweeTango, Macintosh apples and more, harvested for peak flavor from Washington and New York states. 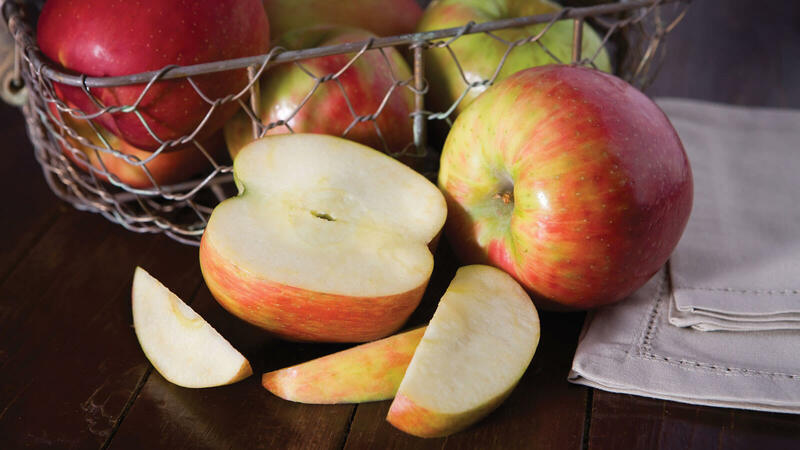 The Apples of Our Eye Our large and exceptionally juicy Honeycrisp™ apples are sweet, tart and snappy. Delicious as a snack on their own or paired with cheese and honey, they also hold their shape when cooked, making them ideal for your favorite baked treats. We've got seasonally fresh Honeycrisp apples from Washington state and a new crop from New York state. A relative of the Honeycrisp, SweeTango® apples are sweet and juicy with flavor hints of citrus, honey and spice. The balanced combination of sweetness, vibrant acidity and crispness make the SweeTango® an ideal baking apple. Explore some of our favorite apple varietals, recipes and more. We’re bringing back some of your favorite fall flavors. 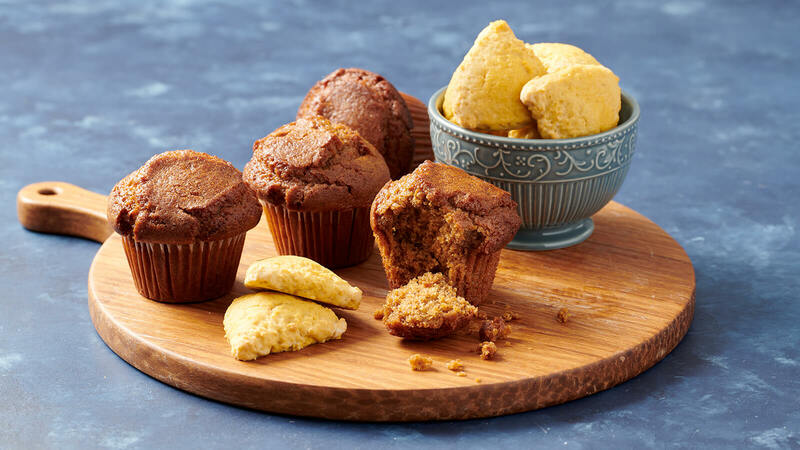 Start your day with a tasty Pumpkin Muffin or Mini Pumpkin Scone. Need a thoughtful gift? 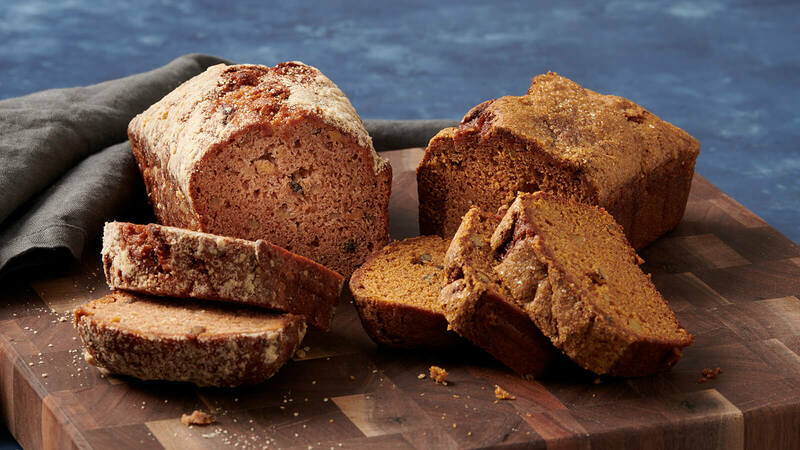 Our delicious baked-in-store nut breads are the perfect gesture. Share them with friends and family, bring them to a potluck or keep them all for yourself. Our Pumpkin Muffins are baked fresh in store and topped with cinnamon streusel. 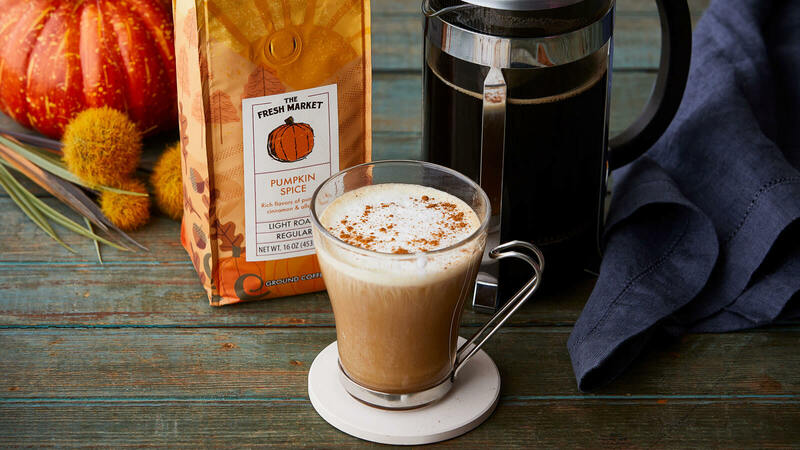 They’re a delectable way to enjoy fall flavors, first thing in the morning. We also have Mini Pumpkin Scones that are the perfect balance of pumpkin spice flavor and sugary sweetness, delicious with coffee or tea. Our made-in-store Nut Breads are always a hit. Spruce up your autumn table with fresh-baked Apple Nut Bread or Pumpkin Nut Bread, ready to slice and enjoy. These seasonal treats also make perfect host or hostess gifts. There are so many delicious ways to enjoy fall flavors. 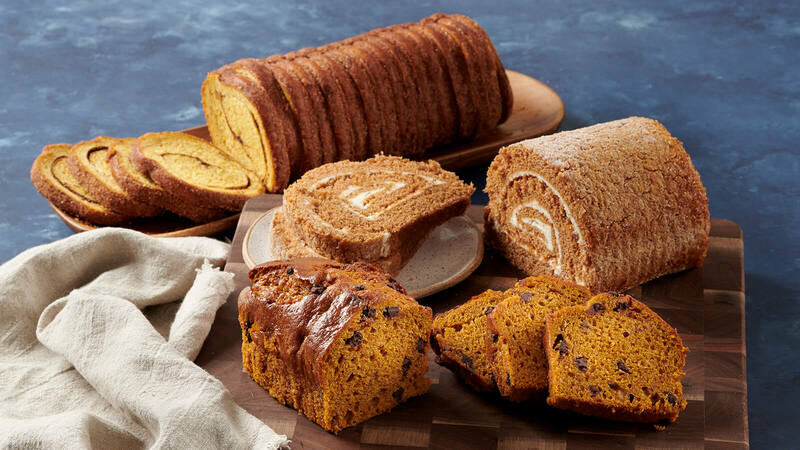 When it comes to classics like pumpkin, apple, sweet potato and spice, baked goods often take the cake—especially if you have a sweet tooth! 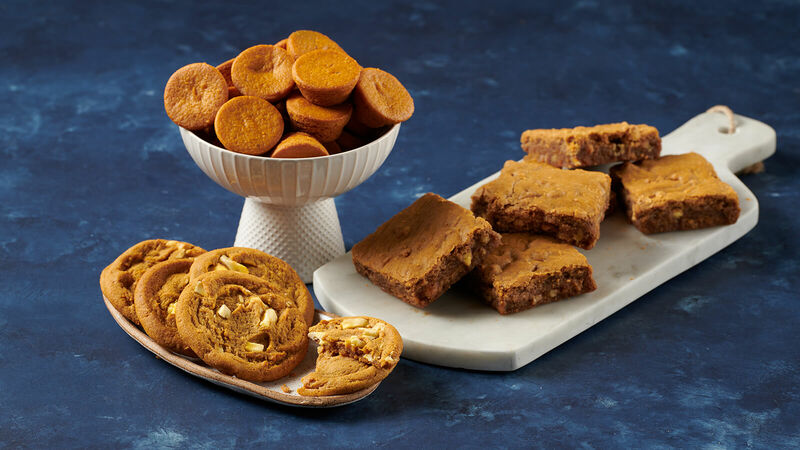 Discover new treats like Sweet Potato Cupcakes, Apple Crumble Cheesecake and Pumpkin Spice Brownie Bites, plus the return of fall classics like Pumpkin Nut Bread and Mini Pumpkin Scones. You’re going to love every bite! 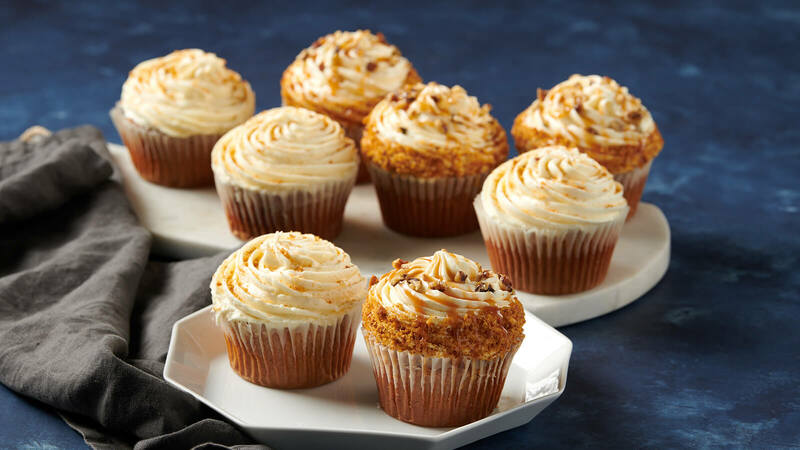 Our new Sweet Potato Gourmet Cupcakes are filled and topped with rich cream cheese icing, then garnished with caramel, crunchy walnuts and cake crumbs for a gorgeous and decadent treat. If you're more of a pumpkin fan, try our Pumpkin Cupcakes. We frost them in store with cream cheese icing, so they're picture-perfect and ready for fall parties. 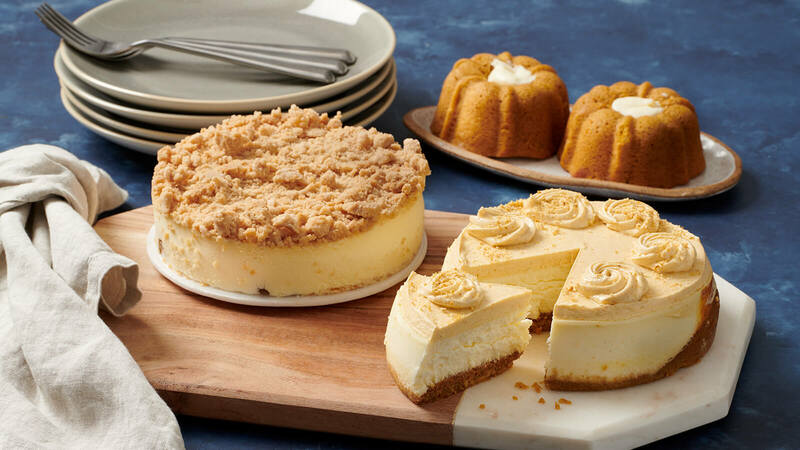 Enjoy a two-in-one treat with our new Pumpkin Pie Cheesecake, made with graham cracker crust, spiced pumpkin and New York style cheesecake topped with cinnamon and cream icing. Or, try festive Apple Crumble Cheesecake topped with cinnamon streusel. Looking for something a little smaller? Serve our Mini Pumpkin Bundt Cakes with rich cream cheese icing. Impress your guests with Pumpkin Chocolate Chip Pound Cake, baked in store with loads of semi-sweet chocolate chips and rich pumpkin flavor. Or, cap off your meal with Pumpkin Cake Rolls, hand-rolled with cream cheese frosting. For something more versatile (breakfast, anyone? ), try Pumpkin Nut Cinnamon Swirl Bread made with cinnamon, nuts and pumpkin. Our Swirl Bread is pre-sliced, ready to enjoy—or bake into French toast. New Pumpkin Blondies are rich with pumpkin flavor. We also have Pumpkin Spice Brownie Bites made with pumpkin and white chocolate, gone in two bites (though you’ll probably want a second). Finally, our baked-in-store Pumpkin White Chocolate Cookies are made with simple ingredients like white chocolate chunks and seasonal spices for homemade flavor. 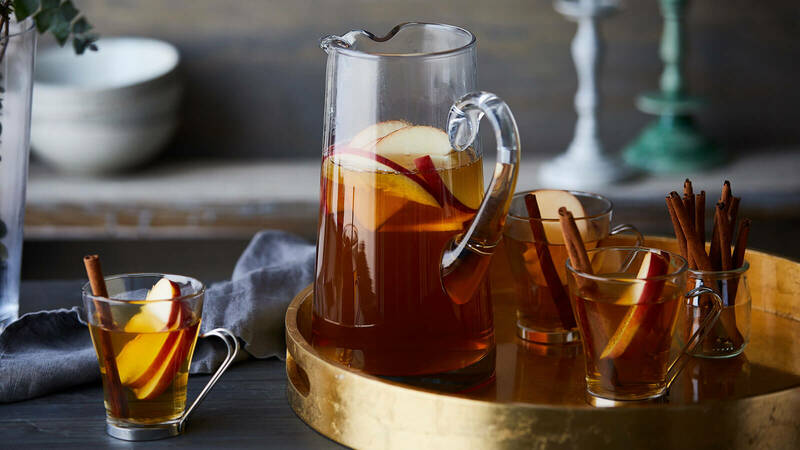 Warm up with these seasonal beverages, perfect for crisp autumn gatherings.